Location: Ballymote, County Sligo, Ireland. Notes: Temple House is a Georgian mansion set in a family estate of over 1,000 acres overlooking the lakeside ruins of a Knights Templar castle and is now a luxury country guest house, like a hotel. Originally built in c. 1825, it was substantially extended and embellished c. 1864. 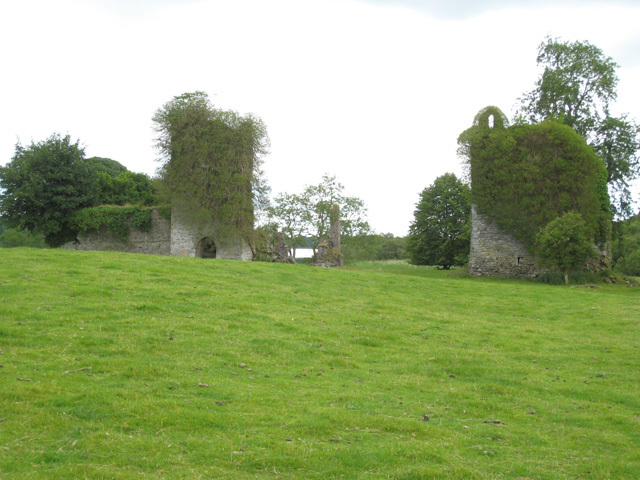 Templehouse Castle was a rectangular keepless castle, built in 1181 located near the townland of Ballinacarrow on the outskirts of Ballymote in south County Sligo, Ireland.